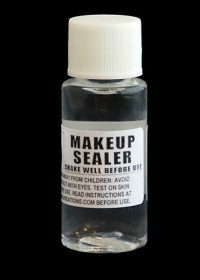 A 30ml bottle of our own Prosthetic Makeup Sealer. 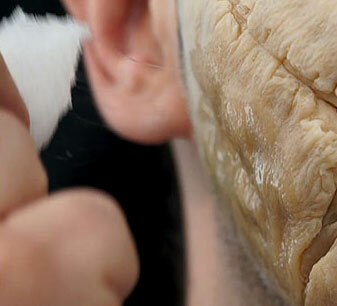 After your prosthetic is applied and before painting, use a sponge apply a thin layer of the sealer to both the prosthetic and skin to create a uniform surface which takes make-up beautifully. Highly recommended for warmer temperatures and long film shoots. INSTRUCTIONS; Apply with clean cotton swab or sponge. Test on small area of skin before use; if any adverse reaction occurs, discontinue use. Keep out of reach of children. Avoid eye and mouth areas. External use only. This product contains alcohol; keep away from naked flame and store carefully in a cool, dry place.